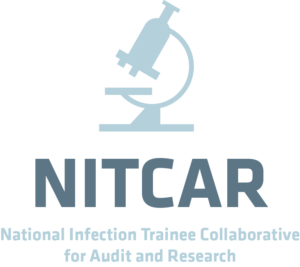 The NSAMR audit team has recruited medical students to participate in a national multi-centre retrospective study of vertebral osteomyelitis as part of the National Infection Trainee Collaborative for Audit and Research (NITCAR). Primary aim is to evaluate the service provided to patient receiving treatment for native vertebral osteomyelitis (NVO) in centres throughout the UK in comparison to recommendations from IDSA Guidelines 2015. What are the risks associated with the development of NVO? Which factors, including demographics, microbiology, serum inflammatory markers and imaging studies are useful in predicting the outcome of patients with NVO? Vertebral osteomyelitis causes clinicians difficulty due to problems with diagnosis, obtaining positive specimens and ensuring adequate length of appropriate antimicrobial treatment. This service evaluation will benefit individual centres by helping them to measure their performance against clear standards to identify possible areas for future improvement. We need 5 enthusiastic medical students from each UK medical school to take part as data collectors and 1 student lead for the site. Involvement will require an 10-hour time commitment in total over approximately 6 months. Each student will a certificate from NITCA and be listed as collaborator in any resulting publications. NB: Collaborator status does not provide points on Foundation Programme Applications (UKFPO). Student leads for each university will also receive a certificate from NSAMR. For student lead role, please include any previous leadership and management experience in your application.